We've already got an idea of which U.K. and U.S. carriers the Samsung Galaxy S III is heading to, but we can now check the box marked Canada for at least one of the country's wireless carriers. TELUS didn't provide an exact release date for the GSIII, but did confirm that Samsung's latest flagship will be arriving on its 4G LTE network "in time for the summer." Also absent from TELUS' press release are pricing and spec details, so it's uncertain if our friends of the Great White North will will be seeing Samsung's homegrown Exynos 4 Quad processor, or if another chip maker will have the honors of having its processor featured in this region's version of the Galaxy S III. TORONTO, May 7, 2012 /CNW/ – TELUS and Samsung Canada today announced that the Samsung Galaxy S III will be arriving on TELUS' 4G LTE network in time for the summer. With intuitive design and features, the Galaxy S III introduces a new concept in mobile usability – allowing users to communicate and share their experiences naturally and instantly. 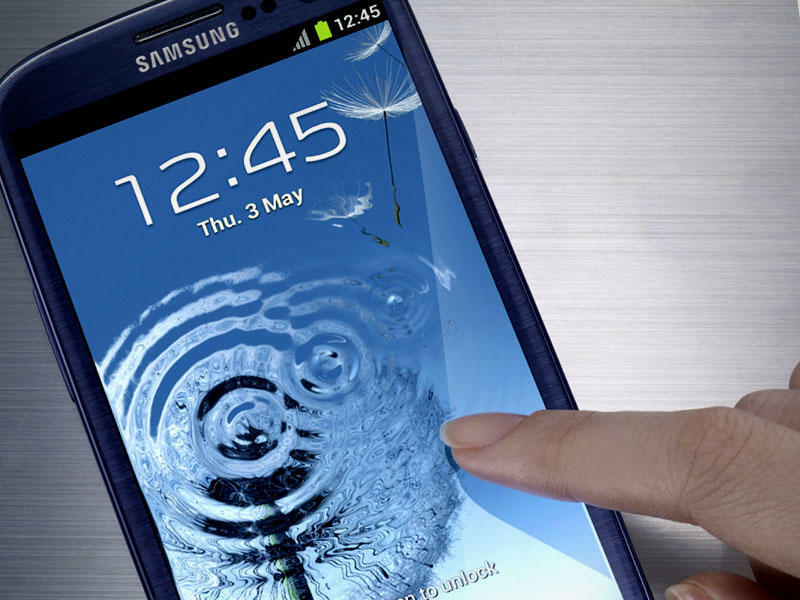 The Galaxy S III combines innovative smartphone design and heightened intelligence to make everyday life easier. With enhanced interaction between device and user, the Galaxy S III allows users to share and experience smartphone benefits with family and friends, regardless of location. The Galaxy S III also sports a range of additional features that boost performance and the overall user experience in an entirely new way. "Our customers have told us they love the Samsung Galaxy family and we are thrilled to bring the latest in the Galaxy line-up to TELUS, Canada's Galaxy Headquarters," said Brent Johnston, TELUS vice-president of mobility solutions. "We are committed to exceptional customer experiences and the new Samsung Galaxy S III not only brings to our customers an exceptional on-device experience but also access to TELUS' Clear and Simple initiatives such as flexible rate plans, data notifications and our new trade-in program that allows customers to upgrade to the latest and greatest devices like the Galaxy S III more easily and more often." "Samsung is dedicated to taking a leadership position in the smartphone space and that is why we are thrilled to work with TELUS to bring the Samsung Galaxy S III to Canadians," said Paul Brannen, Vice President, Mobile Communications at Samsung Canada. "With its intuitive design and features, the Galaxy S III introduces a whole new concept in smartphone user experience through gesture-based communication – allowing users to communicate and share their experiences naturally and easily." Model specifications, pricing and availability will be announced in the coming weeks. About TELUS TELUS (TSX: T, T.A; NYSE: TU) is a leading national telecommunications company in Canada, with $10.4 billion of annual revenue and 12.7 million customer connections including 7.3 million wireless subscribers, 3.6 million wireline network access lines and 1.3 million Internet subscribers and more than 500,000 TELUS TV customers. Led since 2000 by President and CEO, Darren Entwistle, TELUS provides a wide range of communications products and services including wireless, data, Internet protocol (IP), voice, television, entertainment and video. In support of our philosophy to give where we live, TELUS, our team members and retirees have contributed more than $260 million to charitable and not-for-profit organizations and volunteered 4.2 million hours of service to local communities since 2000. Eleven TELUS Community Boards across Canada lead TELUS' local philanthropic initiatives. TELUS was honoured to be named the most outstanding philanthropic corporation globally for 2010 by the Association of Fundraising Professionals, becoming the first Canadian company to receive this prestigious international recognition.